SINDHUPALCHOWK, Dec. 30: A breakthrough has been achieved in the tunnel construction works of the much-hyped Melamchi Drinking Water Project along the Ambathan-Gyalthum. 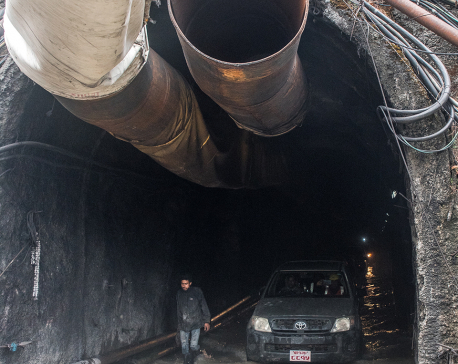 Information Officer of Melamchi Drinking Water Development Rajendra Panta said the final point of 8.3 kms long tunnel was completed on Friday midnight after the two explosions. Panta said the walls of the tunnel are being plastered after the breakthrough in the tunnel construction works. Out of 27.5 kms tunnel from Ambathan of Helambu Rural Municipality of Sindhupalchowk district to Sundarijal, only 450 metres of tunnel construction works are now left from Gyalthum to Sindhu. Some three months more time is expected to take for the completion of the tunnel works. 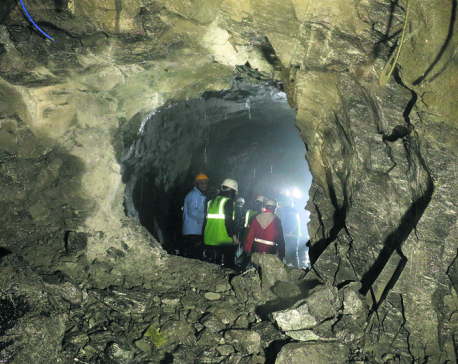 The 9.5 kms tunnel from Sindhu to Sundarijal--the longest tunnel out of 27.5 kms-- was completed last year.